Happy Fall, Y’all! We’re mid October, and I’ve got HOLIDAYS on my mind! 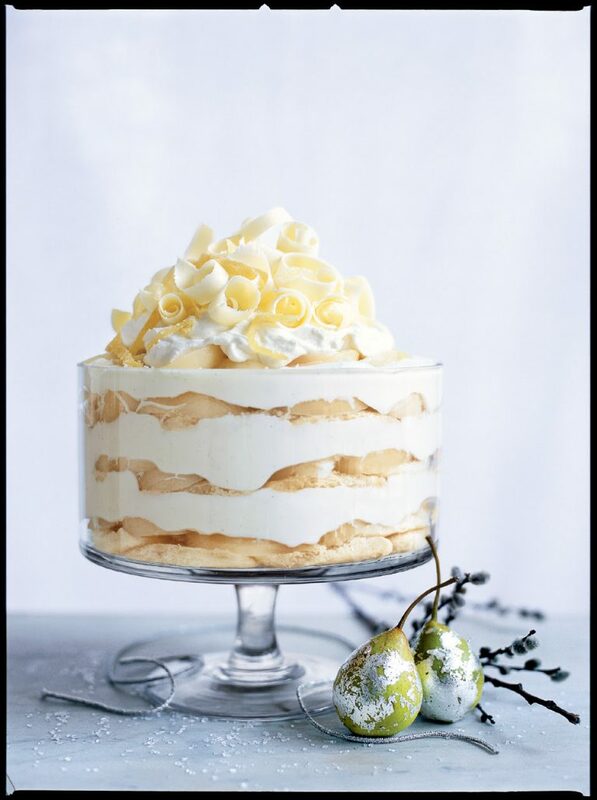 Now is the time I start scheming and planning, and pinning recipes like a crazy lady! This year, I’m calling on all you Foodies, Recipe Makers, Drink Shakers, and Pinspirational People! 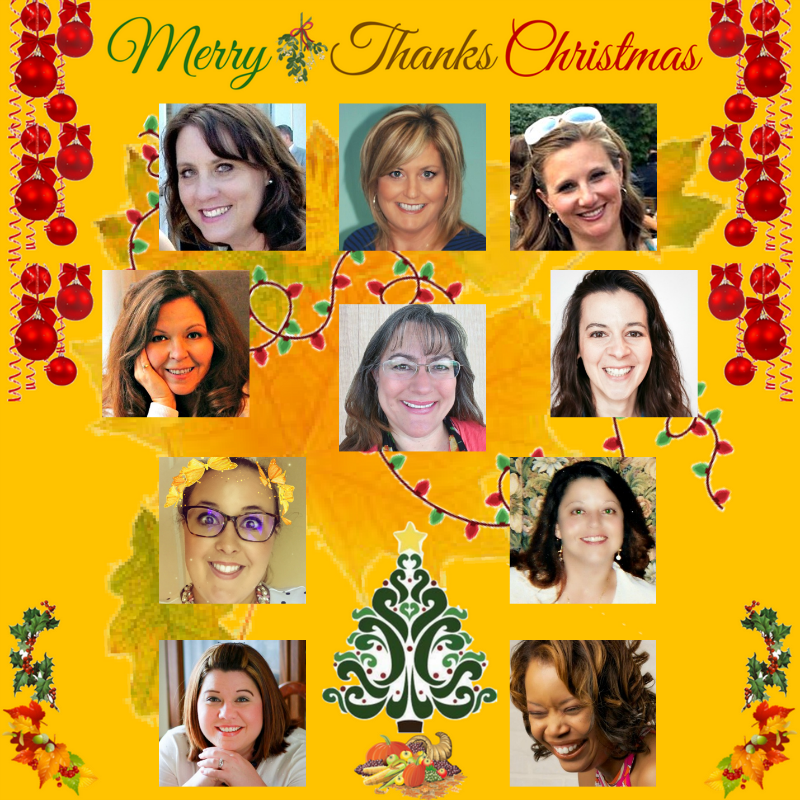 I’m joining in with some super fun ladies for a Merry ThanksChristmas Recipe CONTEST & GIVEAWAY! 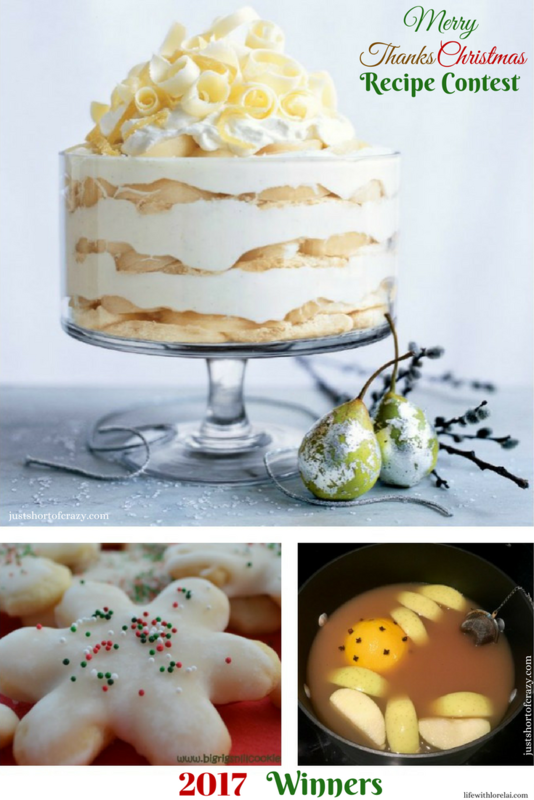 Below, you’ll find several link-ups, where you can add YOUR best recipe for each category! We’ll have 1st, 2nd, & 3rd place winners, so get those competitive aprons going! 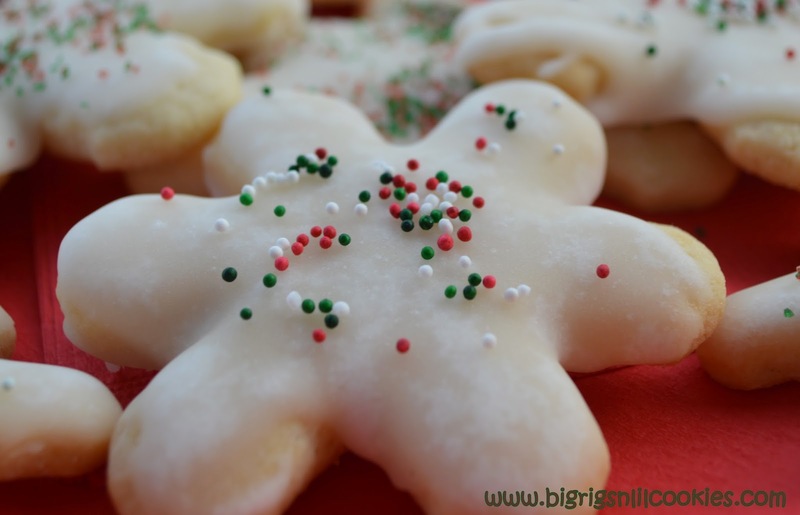 If you aren’t a blogger, and just want to enter the giveaway for $100 that’s fine too! All are welcome! Now onto the REAL good stuff… The contest and GIVEAWAY! No Blog necessary to enter the Giveawway! 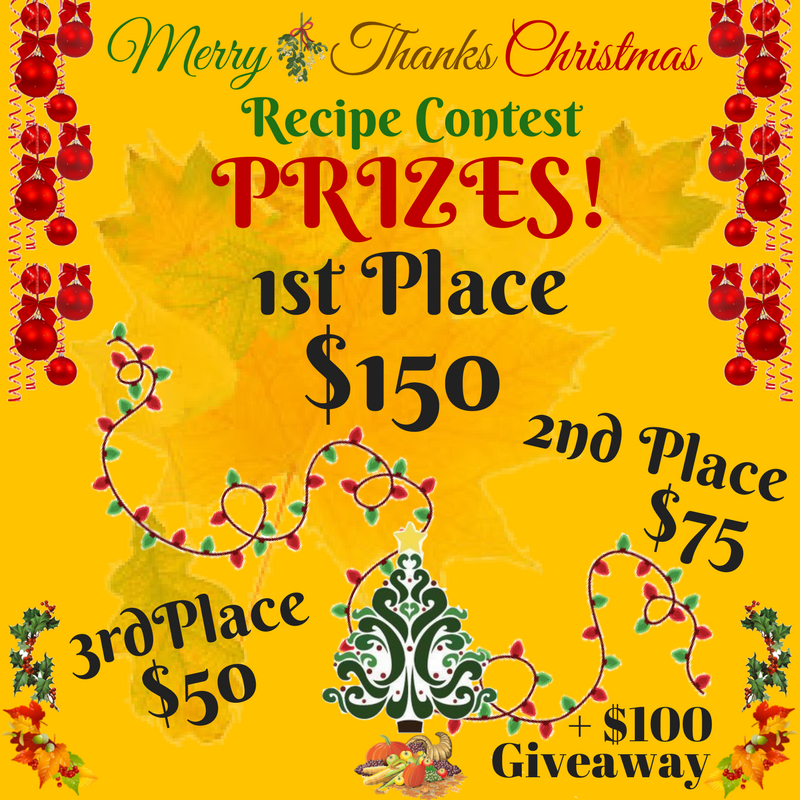 Thanks for having fun with us at the Merry ThanksChristmas Recipe Contest 2017. It’s great to get everyone ready to celebrate the holidays with delectable food and drink. Happy Holidays! I can’t wait to read all your recipes, and try as many as I can! Cheers, Sweet Friends to this wonderful Holiday Season! They don’t sell grits in Canada, hard to believe I know. I think its because of the french labelling requirements we have. I however grab a bag of grits when I go south because I love them. 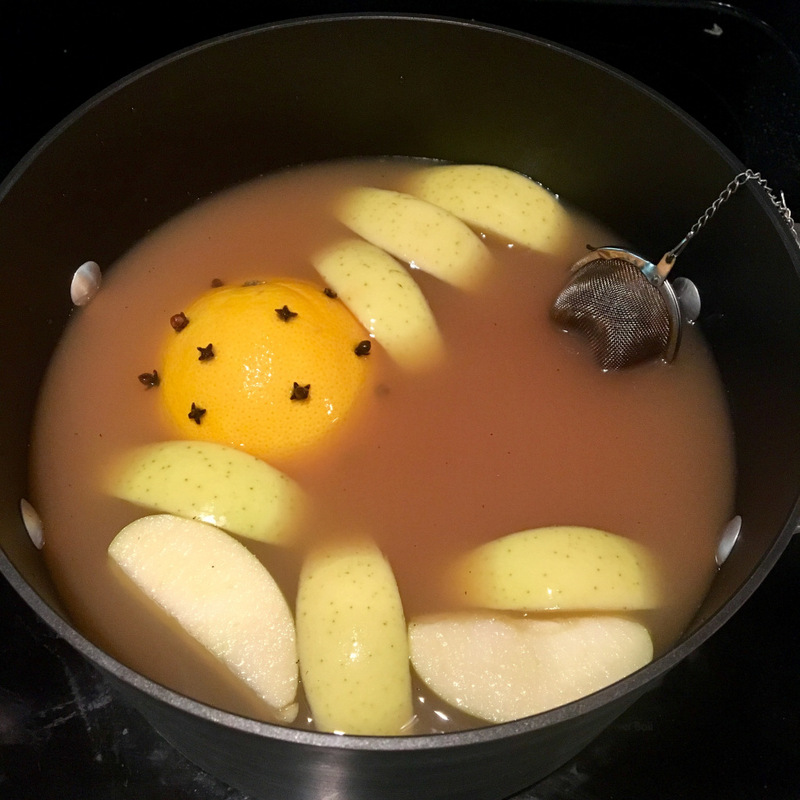 This recipe looks delicious and exotic for up here. I am sure it will be a hit as I could introduce everyone to grits. 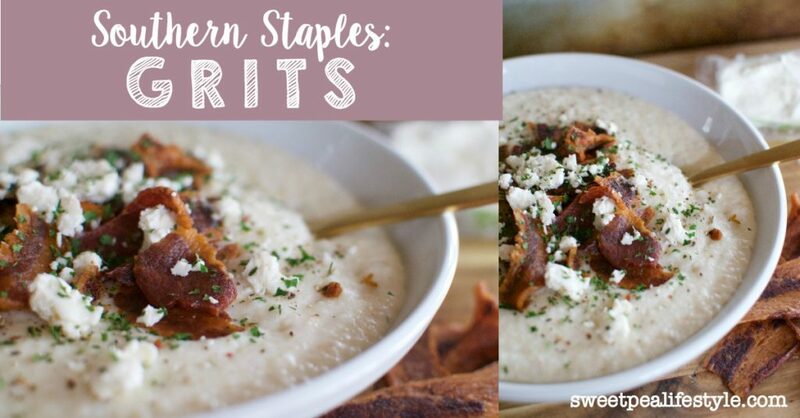 Grits are truly a southern staple! This recipe should be a hit with them! I love Grits (and their Italian cousin Polenta). Hmm. I think I have a bag in the top of the pantry. Guess what’s for breakfast tomorrow!